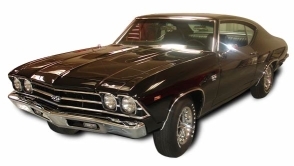 Po' Boy's used cars in Boaz, Alabama is dedicated to bringing you the best in classic cars in the state of Alabama! We have a huge variety of vintage cars that any collector car enthusist would love! Look for Po' Boy himself, when you come! He will be on the lot most every day but it is a good idea to give him a call! He is an expert in Classic Cars in most every era and if he don't have the collector car that you are looking for, he can almost always point you in the right direction! Grizz's inventory of classic cars for sale includes everything from Model T's to muscle cars to some of the latter model sports cars (like the 84 Camaro). We even have some unexpected things, like a jet boat, bulldozers, motorcycles, even an old hearse! Find out more about our classic car & other various 'big boys's toys' ready to be bought or traded for! In fact we welcome traders. We stay in business to get you the classic car that you have been dreaming of! 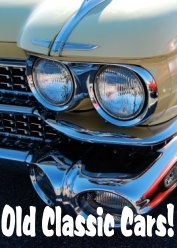 Po' Boy's used cars brings you the best in classic cars in the state of Alabama! We have a huge variety of vintage cars that any collector car enthusist would love! Classic cars for sale! Alabama Classic Cars for sale!